Now warm and spice and everything nice can go with you wherever you go! Thieves® Roll-On comes prediluted and ready for application, so you’ll never leave the house without it! Stuck in an airplane with recycled cabin air? Working in a musty, old office space? Hosting a play date for your kiddies? Swipe on some Thieves and you’re good to go! 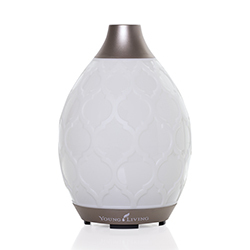 You’ll adore its ability to purify the air, take advantage of its topical cleansing properties, and fall in love with its cozy and comforting aroma. Legend says that in France during the 15th century, thieves would sneak into graveyards to rob from the dead and dying. According to the tales, they protected themselves by creating a special aromatic combination composed of clove, rosemary, and other botanicals. Today, Thieves Roll-On is inspired by those legendary tales. 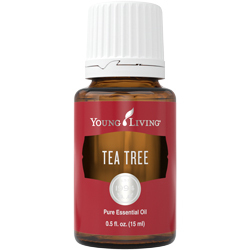 Combining Clove, Cinnamon Bark, Lemon, Eucalyptus Radiata, and Rosemary essential oils, this roll-on gives you the assistance you need for any kind of day! Rub Thieves Roll-On on your wrists for a fresh, warm aroma. Swipe on the back of your neck as a spicy personal fragrance. 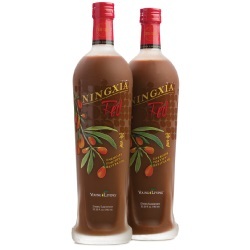 Pack in your travel bag or purse and use it before rush-hour traffic, long road trips, or a busy day at work. Twist off the cap and get rolling! 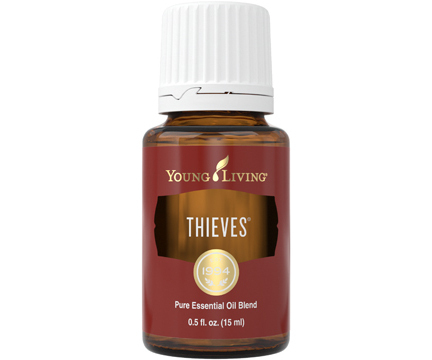 Apply Thieves Roll-On to your wrists and the back of your neck for its cleansing properties. Apply generously on wrists, back of neck, or shoulders.